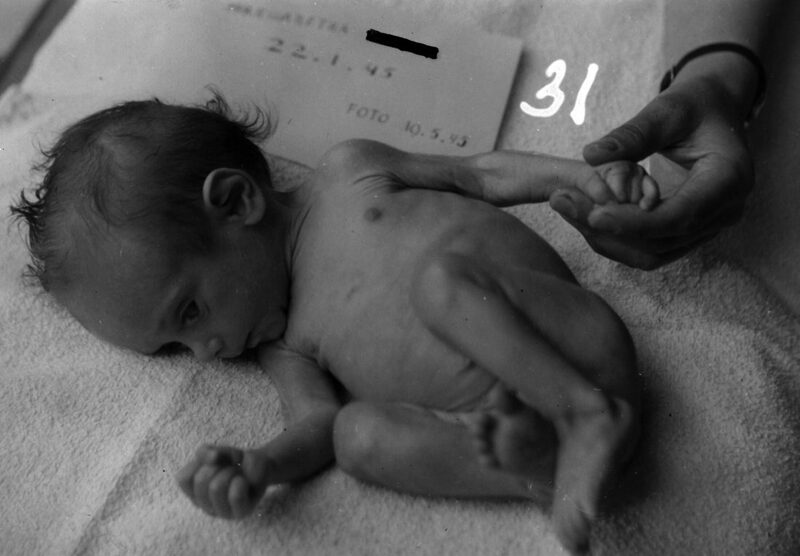 The Dutch Famine Birth Cohort Study is an ongoing study investigating the effects of exposure to the 1944-1945 war famine in utero on health in adulthood. The study has shown that the offspring of mothers who were pregnant during the famine more often have diabetes. People exposed to famine during mid gestation have a higher risk of developing obstructive pulmonary disease and microalbuminuria. Those who were exposed in early gestation more often show an atherogenic lipid profile, altered clotting, more obesity, and a 3-fold increase in cardiovascular disease. The study is carried out by the departments of Clinical Epidemiology & Biostatistics, Gynecology & Obstetrics and Internal Medicine of the Academic Medical Centre (AMC) in Amsterdam, the Netherlands in collaboration with the MRC Environmental Epidemiology Unit of the University of Southampton, UK. 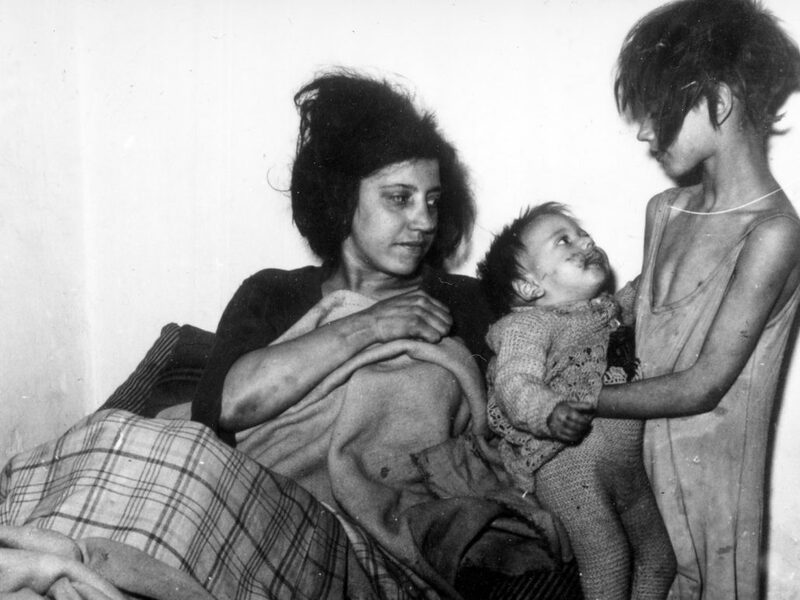 The Dutch famine, or Hungerwinter, started in November 1944 under German occupation and carried on until liberation in May 1945. Rations in the western part of the Netherlands were as low as 400-800 calories a day; less than a quarter of the recommended adult caloric intake. We have been able to trace the antenatal and maternity records of babies born at the Wilhelmina Gasthuis in Amsterdam between November 1943 en February 1947: they form our cohort. 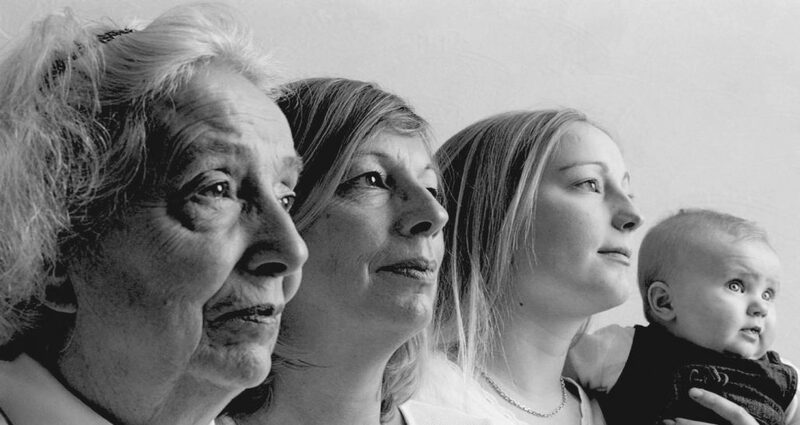 The Dutch Famine Birth Cohort Study started in 1994. 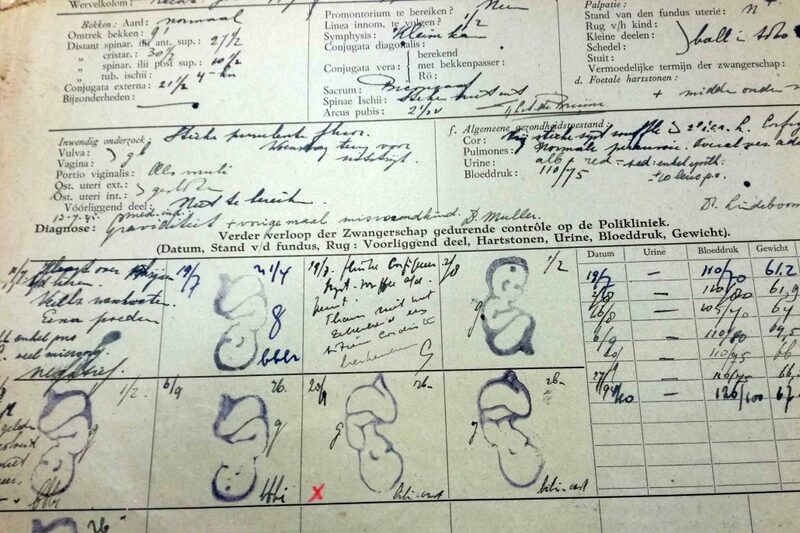 First, the antenatal and maternity records of babies born between 1st November 1943 and 28th February 1947 in het Wilhelmina Gasthuis in Amsterdam were traced in the Amsterdam city archives. The municipal registry helped trace these people to a current address. Over 900 of these people participated in the study at a age 50. Between 2002 and 2004 a new round of data collection was carried out. Over 850 people participated at age 59. They underwent a full day of medical examinations and tests at the AMC. In this follow-up study, we focused on the mechanisms underling cardiovascular disease and diabetes among people exposed to famine in utero. Cardiovascular disease is the most common cause of death in the western world today. We know that smoking, diet and a lack of physical activity increase the likelihood of cardiovascular disease. Research has shown that people who were light or small at birth run an increased risk of developing cardiovascular disease. Sub optimal growth in utero may therefore play a role in the origin of cardiovascular disease in later life. A baby’s growth rate in its mothers womb depends on the nutrient supply provided by the placenta. If the nutrient supply does not meet the baby’s demand, its growth rate may slow. The baby will adapt in order to cope with the inadequate nutrient supply. This may lead to permanent alterations to the structure or function of developing organs. The system may be ill equipped to cope with a return to normal nutrient supply again. We think that undernutrition in utero can lead to alterations in the liver, which cause difficulties in maintaining blood cholesterol concentrations. Similarly, the pancreas may not be able to regulate blood glucose levels adequately. Maternal undernutrition during pregnancy may lead to cardiovascular disease in later life. That makes the Dutch famine birth cohort such a unique and interesting group to study the effects of maternal nutrition on health in later life. Despite the fact that persons exposed to famine have a higher prevalence of coronary heart disease, we found no evidence in favour of the hypothesis that they have a higher propensity for developing atherosclerosis. We found that intima media thickness of the carotid and femoral arteries among men and women exposed to the Dutch famine during fetal development was reduced. The reduction in IMT associated with famine exposure in utero was similar to the difference between smokers and non smokers. This finding is at odds with the atherogenic lipid profile and decreased glucose tolerance we previously found among men and women exposed to prenatal famine. We found no evidence for the hypothesis that survivors of intrauterine famine had stiffer arterial walls. We did find that people that remained small in utero had decreased arterial compliance, and that this was due to the fact that they also had smaller vessels. But neither of these factors explained the strong link between smallness at birth and subsequent hypertension. We are currently investigating the role of vessel elasticity and genetic factors in the early origin of CHD after famine exposure. Possibly intrauterine undernutrition leads to a decreased atherosclerotic plaque stability. In the future we would also like to study the role of left ventricular hypertrophy and endothelial dysfunction. The emergence of aging problems. Mental health after experiencing major or stressful events. For more information about this study, please contact us via the contact page.